A politician was on Tuesday arrested in connection to the fake Ksh2 billion that was discovered at a safety deposit box at Barclays bank, Queensway branch. The owner of the safety deposit box, Dr Eric Otieno Adede, had vied for the Homabay Town Constituency seat in 2017 but lost to Peter Opondo Kaluma. 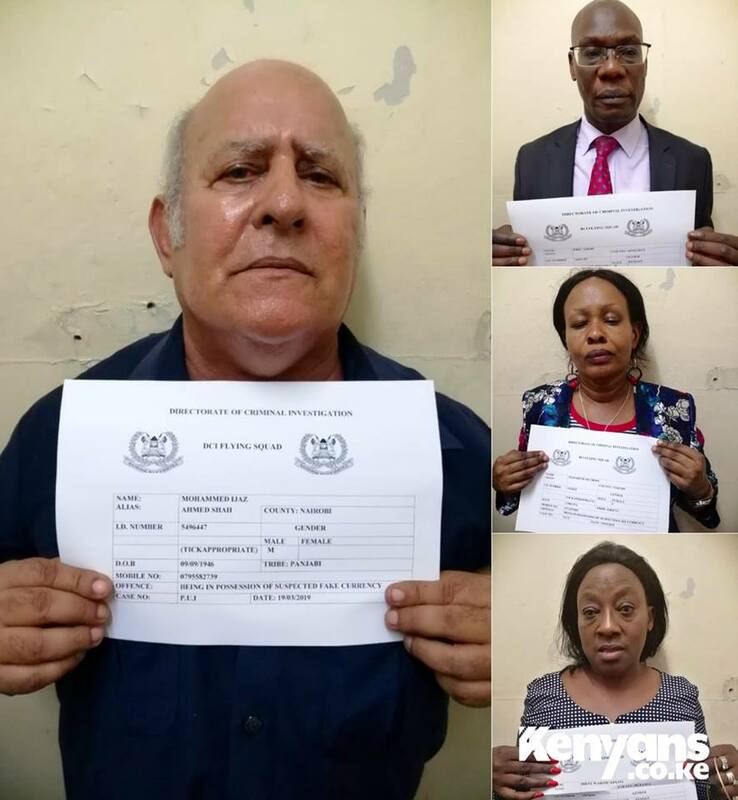 The identities of other individuals being held in connection to the fake cash syndicate are Ahmed Shah, who was posing as an investor, accomplices Elizabeth Muthoni and Irene Wairimu Kimani as well as Boaz Ochich and Charles Manzi who are bank officials. The bank clarified that the contents of the deposit box were only known to the politician. Initial reports had stated that the money seized was Ksh17 billion but Directorate of Criminal Investigations George Kinoti clarified that the money was valued at Ksh2 billion. The money had been kept in the safety deposit box in denominations of $100 bills. Tuesday’s bust comes barely a month after DCI detectives discovered Ksh32 billion in fake currency at a house in Ruiru, Kiambu County. The police revealed that the currencies, which included both local and foreign, was linked to one of the suspects who impersonated President Uhuru Kenyatta. The currency, estimated to be in billions, had been traded out to unsuspecting Kenyans in Shillings, Dollars, Japanese Yen and other denominations. In an earlier report by Kenyans.co.ke, two of the seven suspects lived lavish lifestyles with one owning a fully furnished 10-bedroom house in Karen and the other having spent Kshs 5 million on a wedding attended by MPs in 2017. The suspects included Duncan Muchai, Isaac Wajekeche, William Simiyu, David Luganya, Anthony Wafula, Gilbert Kirunja and Joseph Waswa alias Henry Waswa.